Random Thoughts: A time to bid farewell and say Thank You! A time to bid farewell and say Thank You! Two years ago, when we came to Liverpool, my younger son wasn't very keen on the move. The main reason for his reluctance to move was the friends he didn't wish to part ways with. But then, life doesn't work according to one's wish always. So, he had to pack his bags and start a new phase of his life in a totally new country and culture. Once we reached here, we had two choices - a school (literally) across the road where we lived, and another one, a bit far. Although the latter seemed to have better facilities in terms of a bigger playground and other infrastructure, we preferred the school nearby. This was mainly because most of our colleagues' kids were attending this school and during winter months the less you have to walk in the cold, the better. But, when we first enquired, no places were available. So we thought we would have to opt for the other school. However, the luck turned in our favour as one place came up. So, my son started his first day at school barely after ten days of reaching here. There was hardly a week left for that academic year to end. But the school authorities thought it would be a good idea for him to attend the school for a few days before my son actually started school during the next academic year starting in September. And what a wonderful start it was for him - he joined his class for a trip to the zoo on the very first day of the school. Needless to say, he enjoyed every bit of it and it didn't take him long to make new friends. When the school reopened in September, he was in Ms. Davey's class. She helped him settle in. 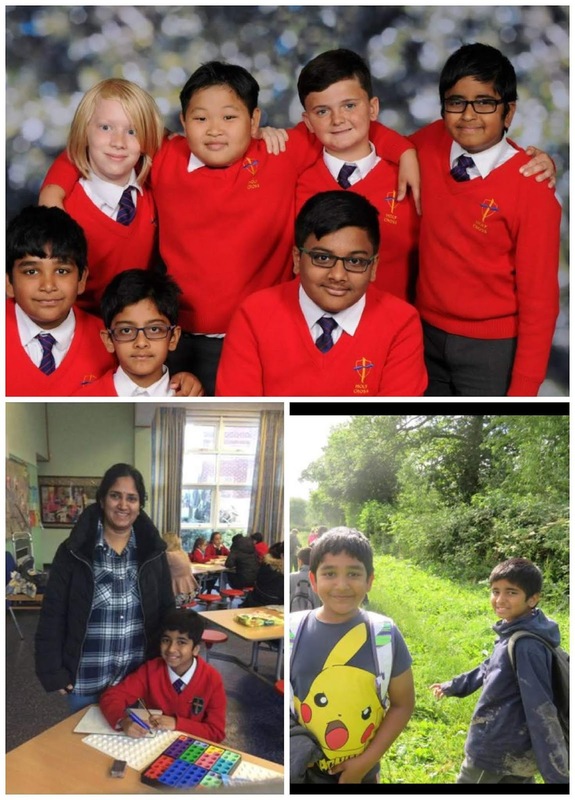 The transition from the Indian schooling to the British schooling was a delightful experience for him - there was no pressure of exams, tests and homework. Here, learning was fun. Soon, he overcame all his inhibitions and started loving the school and friends as much as he did back home. Every day, he came home with loads to share about his day at school. He would tell me what Ms. Davey taught them on the day, what fun activities they had, what games they played on the school ipads, what he and his friends did and so on. Soon, names like Ms. Hodges, Ms. Bannon, Ms. Cresswall, Ms. Sheilds, Ms. Calderwood and Katie, all came up in his narratives. And I started matching the names with faces every time I went to pick him up from the school. 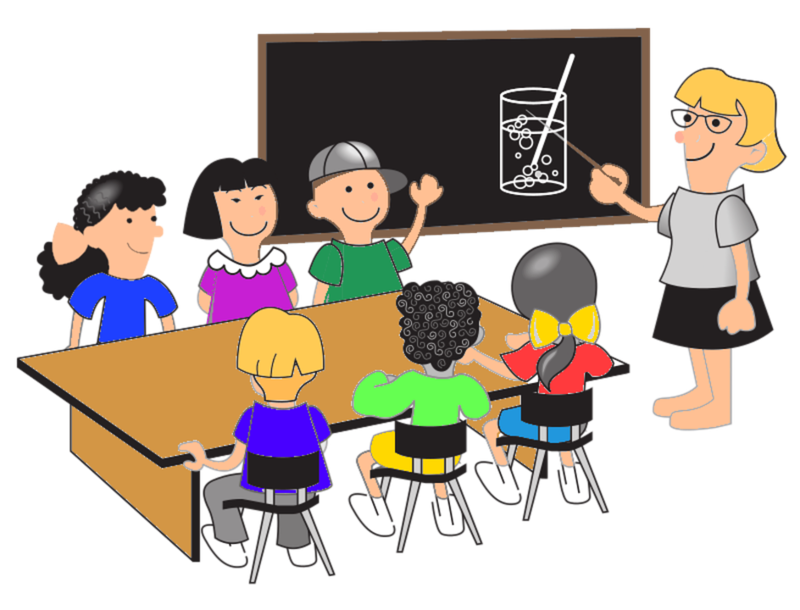 Before long, I also became familiar with the teachers and other staff at the school. The after-school clubs were informative and fun. All in all, the school was a wonderful place to be. Back home, I dreaded parent-teacher meetings on the open day. I knew the teachers are going to complain about how restless and hyperactive my son was; they were never satisfied with the effort he put in, always told me I should make him sit and study more. So, it was with a bit of apprehension I went to meet Ms. Davey for the first parent-teacher meeting here. I was not prepared for what happened next. I was told so many good things about my son - how wonderfully he settled in, how kind he was, how polite and sensible he was and so on. I had to pinch myself to make sure I wasn't dreaming. Never before in my life I had this experience of a teacher telling me my child was a wonderful person worthy of praise. I could hardly believe this was happening in real. I was so overcome with emotion that I had to struggle to keep my eyes dry. That was one of the most moving experiences I had as a parent. Before that, I never knew teachers could say such kind and positive things about children. And it is not because my son is some extraordinarily good person. I know they have this positive approach towards all children under their care. As a parent, I felt happy and proud of my child as I got this feedback. It also helped me to look at my child in a new light. I suddenly understood that with a bit of positive reinforcement I could help him be an even better person. So, the school experience was thrilling for me as well. I tried to give back something by volunteering during class trips and other small ways. It was a pleasure to help in any small way I could. And, a year went by in a blink of an eye. Soon, my son moved into year 6, the last year of his primary school. This time he was in the class of Ms. Griffiths. I had seen her daily while picking up my son the whole of last year and what struck me was her smiling face. It is remarkable the teachers have a smile on their face every day despite the challenging job they undertake. Year 6 is when the children take their SATs (Standard Assessment Tests). As such, it is a very stressful year for the children and their teacher. But Ms. Griffiths always had a smile on her face and good words for her students. During this year, we had regular meetings with her and she gave us a clear picture of where our son stood and how he can improve in certain areas. She gave the children practice tests as well as tips to overcome any SATs jitters they might have. Thanks to her encouragement and motivation, the kids were never under any pressure, but they had the confidence to do to the best of their ability. (And they did, I was told, when the SATs results were out last week). The SATs didn't stop the kids from having fun or learning about more things. They had their share of trips to the library, theatre as well as other educational trips. It was learning as usual even with the SATs around. I had the good fortune of accompanying them in a couple of these trips and I found that the teachers and kids shared a great bond of love and care. There was this boy from Poland who knew little/no English. I was amazed at the way the teachers patiently interacted and communicated with him. The understanding and kindness they demonstrated was again a lesson for me not only as a parent but also as an individual. Every day, my son would come home excited about the things he did at school. He would go on and on about his friends, Ms. Griffiths, Ms. Dunlop and other members of staff. The class was like a second home and family for him. That's why the news of his teacher expecting a baby had him thrilled. I got the feeling that all the children suddenly had this big brotherly/sisterly feeling on hearing the good news. I am sure they all are looking forward to meeting the baby even though they won't be at the school then. I think Ms. Griffiths has one of the toughest jobs in the school. Not only because of the SATs, but also because of her class moving out of the school, into the bigger world of secondary school at the year-end. Goodbyes are hard. I still recall seeing the teary-eyed children hugging each other and their teacher on the last day of the school last year. In a couple of days, my son would also say bye to his friends and his school. I am sure he will miss his friends and his teachers, Ms. Griffiths, especially. I know I will miss them too. I know my association with the school was rather short. But the memories and learning I gained in this short while will last a lifetime. I wish the teachers and non-teaching staff at Holy Cross the very best in life. May you continue to brighten the lives of every child that comes to your school. Special thanks to Ms. Griffiths and Ms. Bannon for the kinds words you had for Rithvik. As a parent, it filled my heart with pride and joy to read them.